Visit Soelden for the BIG3 mountains, World Cup runs, high-altitude skiing, lively apres-ski and great restaurants. Two hikers found one of the oldest mummies in the world, called Otzi the Ice Man, while walking in Soelden in 1991. They thought he was a skiing casualty from years gone by, but he in fact turned out to be a Neolithic man who died of an arrow wound in around 3200 BC. 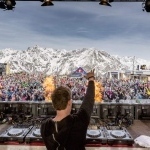 Soelden offers some fantastic high-altitude skiing along with plenty of great nightlife - making for the ideal holiday for those looking for the best of both worlds. The resort is an Alpine World Cup venue and also happens to be the location for filming for the latest James Bond movie, Spectre. The resort has several other claims to fame, but the quality of the skiing is by far the most important if you’re considering a holiday here. The resort’s high-up position makes for some wonderfully reliable snow, as well as some spectacular views. Soelden has over 145 km of pistes, with its main ski area linking with the nearby glaciers for plenty of options. In fact, the longest run in the resort travels for 15 km from Schwarze Schneide on the Rettenbach Glacier down into the valley, descending for almost 2,000 m in the process. As you might expect, there are pistes for all abilities in Soelden. Innerwald and Giggijoch are the best for beginners, while Gaislochkogl has some of the best black runs and red runs can be found everywhere. The steepest slopes include a downhill run from the Stabele chairlift to Innerwald, the upper part of the slope at the Roßkirpl chairlift and a run right by the Schwarzkogl chairlift. For the best views, head to the Rotkogelhütte mountain inn at 2,660 m between Giggijoch and the glacier ski lifts, from where you’ll see Rettenbach Glacier and Gaislachkogl’s northern ridge. Or, make your way to BIG3 Tiefenbachkogl at 3,250 m where you’ll find a panoramic footbridge at the top station of the Tiefenbach mountain gondola to gaze upon the highest mountain in Tyrol, Wildspitze (3,776 m). 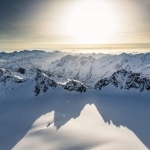 The term BIG3 refers to the fact that Soelden is the only ski area in Austria with three accessible mountains higher than 3,000 m - Gaislachkogl (3,058 m), Tiefenbachkogl (3,250 m) and Schwarze Schneide (3,340 m). It’s well worth trying the BIG3 Rally, a 50 km loop around the three mountains that can be done in a day. The panoramic views are incredible! Further afield, Obergurgl in the Otztal Valley is one of Europe’s highest ski villages and offers 100 km of slopes that are mainly geared towards beginner and intermediate skiers. It’s an especially ideal destination for families. The skiing in Obergurgl can be split into three areas - the section directly above the village with lifts taking skiers to runs for all abilities, Hochgurgl with its longer runs and Hohe Mut for some slightly more difficult skiing.